Wow. Wow wow wow! 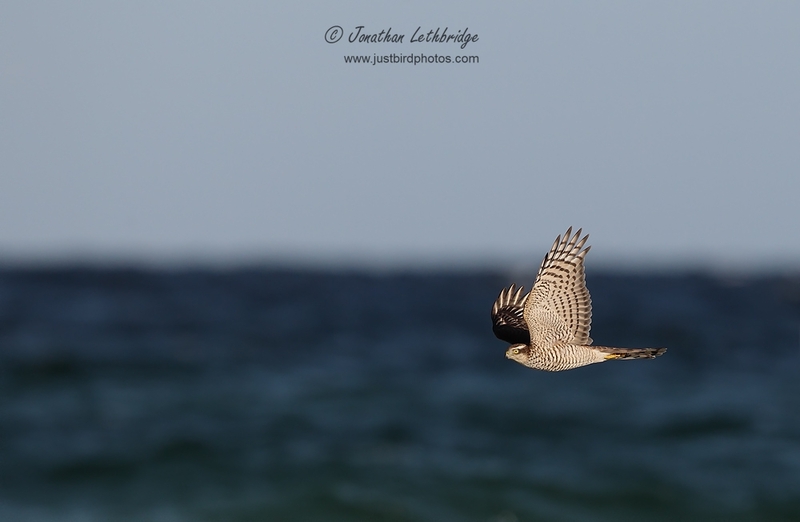 A couple of weekends ago, the one with the August Bank Holiday in it, I went to Falsterbo to "experience migration". Well, what an experience! 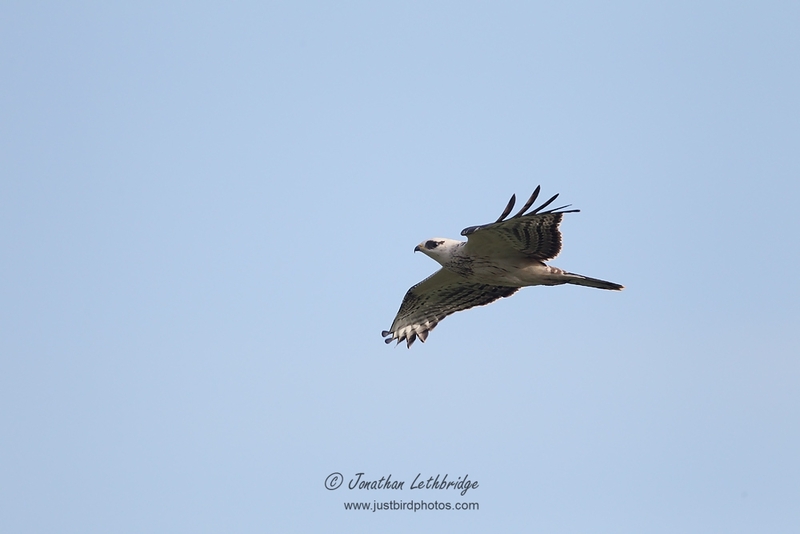 Thousands of birds, heaps of raptors, lots of Very. Serious. Birders. Also quite a lot of wind, a modicum of apocalyptic rain, and small quantities of unregulated watered-down lager. A four day trip in late August (22nd - 25th) to take advantage of the UK Bank Holiday, with Bradders (and Snuffi). Birded primarily the Falsterbo peninsula, but also several trips into the interior of the bird-rich Skåne area, which we birded various parts of every afternoon of each full day there. Copenhagen to Falstebo is about an hour in the car. Denmark has Kroners. Sweden has a different kind of Kroners. Neither use the Euro. Booooo. Car hire via Avis was a very nice but overly smart Nissan Qashqai. If only it could identify birds, but it did most other things. Around £140 for the four days. Accommodation was booked for three nights at the Pensionet Maglarp just outside Trelleborg, where a basic twin room set us back £120 each. It had wifi. Oh, and a fridge for the cooling of top-quality beverages. This was about a 20 minute drive from Falsterbo. The Qashqai had a sat-nav, so we used that. And a large hadron collider. Dinner every night at the Casablanca grill in Trelleborg. Amazingly good basic food, obscene quantities, and not overly pricey either. Trelleborg, in common with other freight port towns, was a bit of a dump (sorry residents), so options were fairly limited. The real birders are at Nabben for 0530 every day. We are weaklings however, and tended to pitch up about 0700. We probably missed about ten trillion Tree Pipits, but made up for it by seeing another ten trillion. Very early flight from LHR necessitating leaving a silly O'Clock from Wanstead. Breakfast in the/a BA lounge whilst poring over literature, and then an uneventful flight (the best kind) over to Copenhagen where we picked up the car without fuss. It then took the rest of the day to work out the handbrake. Seriously Nissan, if it ain't broke.... Weeping as we crossed the bridge whilst throwing Euros out of the window, we arrived at Falsterbo at more-or-less raptor O'Clock, and after securing the requisite amount of junk food, immediately started sky-watching at Skanorsljung, a heathland area (see map location #4) where you can watch raptors coming in from the east. This area covers almost the entire width of the pensinsula at this point, and the birds can come in on any line, though with a south-westerly wind blowing, we found that they tracked more along the road than the southern side. We started seeing (and hearing) birds almost immediately. The most striking difference to Wanstead was the almost continual calls of Yellow Wagtail and to a lesser extent, Tree Pipit. In the next hour we recorded 46 Honey Buzzard, including a flock of 23, 4 Osprey, 2 Marsh Harrier, an immature Sea Eagle, and a Common Buzzard. 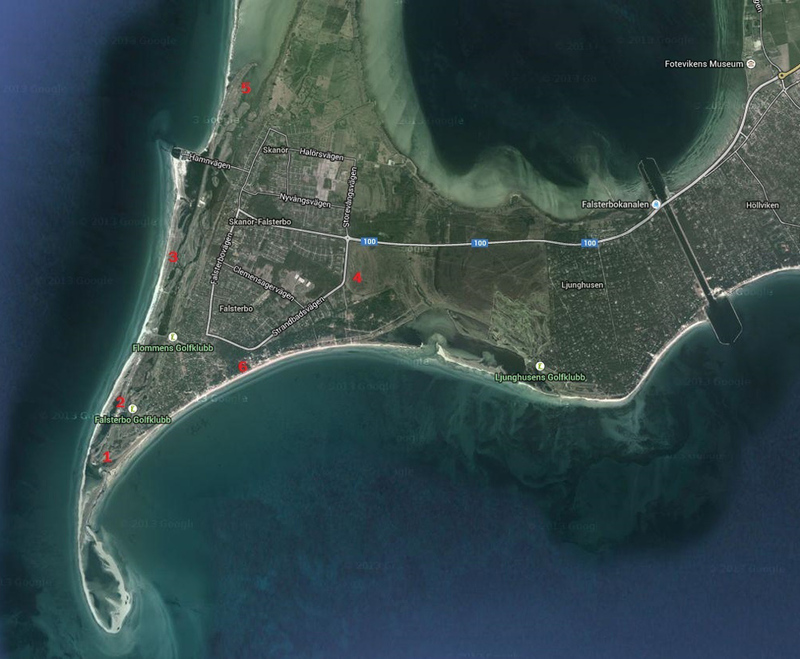 The Honey Buzzard tap seemed to be switched off after an hour, so we busied ourselves exploring the Falsterbo area, including checking out the Observatory garden around the lighthouse (2), Flommen (2-3), and then the area to the north of Falsterbo harbour at Hamnvagen (5). Walking north from here along a narrow strip of land with sea one side and pools the other took us too a very productive mudflats area with loads of waders, including several Curlew Sandpipers and a Broad-billed Sandpiper, a bird I've yet to see in the UK. As a result of this we ended the day on 70 species, pretty good going when you consider we didn't really hit Falsterbo until midday. Checked into the Pensiongat Maglarp in the early evening, and then sourced dinner in Trelleborg. I cannot remember what I had was I called, but it involved a massive amount of grilled pork, peppers, and chips, washed down with a Falcon lager. On the way back we discover the uncomfortable fact the purchase of alcohol in Sweden is limited by the State to certain State-controlled shops, and that any beer found in supermarkets is essentially piss in a can. We asked the checkout assistant why this was the case, and where all the vodka was. "Because zis is Sveden" came the honest answer. We never did find the monopoly shop, too busy birding. An early start and out to the point at Nabben (1), the site of all the major counts. 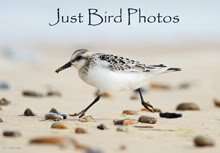 This is staffed by very high quality and serious birders all day long. Note to self; do not string Long-tailed Skuas, especially if they are waders. One young chap was pretty friendly, and a Danish guy was fairly chilled, but on the whole it's a fairly intense business. 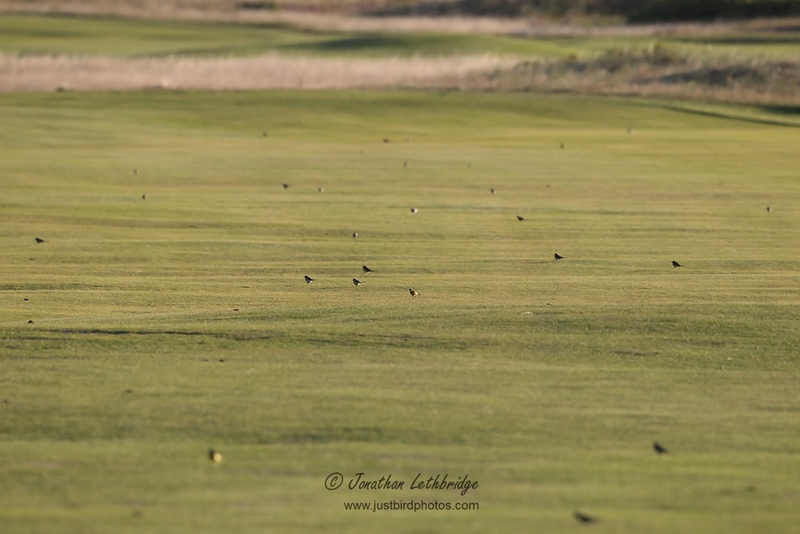 Stonking birding though, with HBs and Sprawks going past at eye level, and the Golf Course littered with Wagtails. You leave your car outside the car park at the Golf Club, near a small hillock (also used for raptor watching, but nowhere near as good as 1 or 4), and then walk along the west side of the fairways until you reach the end. It is obvious where to stand - near the birders who will already be there. In common with the rest of our time here, it was intensely windy, which limited our ability to hear many birds, Crossbills, Tree Pipits and Yellow Wagtails being the exception. 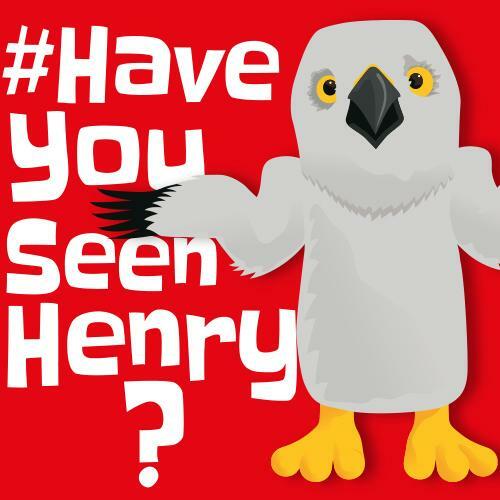 Once again Honey Buzzards were the star of the show, with 121 counted including a spiralling kettle of 21 birds with a White Stork for company. 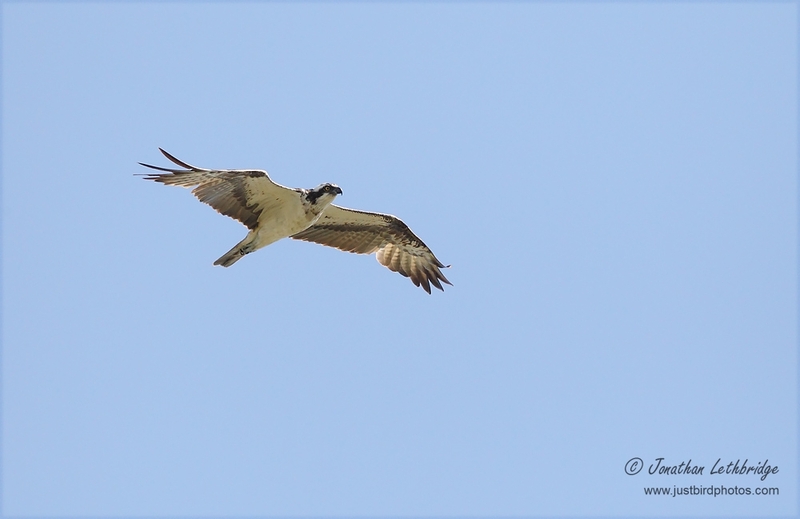 Also 10 Osprey, a pale Honey Buzzard that looked remarkably like an Osprey (more negative BPs for the english contingent), Black Tern, and 60+ Crossbill. 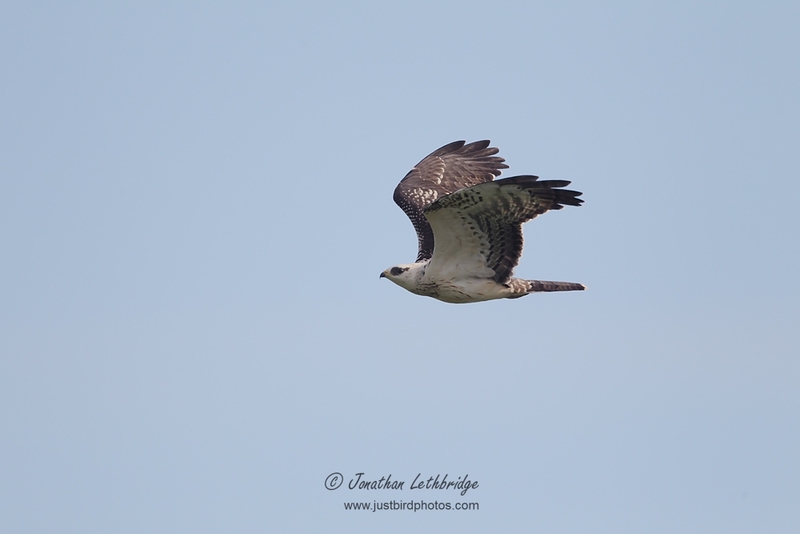 Back at Skanorsljung (4) at around midday, we added a further 36 Honey Buzzard and an ultra-rare Montagu's Harrier. Bored of the passage of HBs, we decided to head inland to a place called Börringe, just south of Malmö airport. We struck gold straight away by finding a shallow lake with 9 Red-necked Grebe (count 'em! ), a Temminck's Stint, a Garganey and some Spotted Redshank. Pleased with this jam, we stopped off at a nearby Fågeltorn (bird tower) between the lakes of Borringesjön and Havgardsjön, and continued the raptor spectacle with at least four Sea-Eagle, double figures of Red Kite, 6 Osprey through, and various Marsh Harriers. If the Grebes had been gold, what came next was platinum. Driving the connecting road south of Havgardsjön, a male Harrier glided across the road. With commendable speed Bradders halted the car, and we piled out. 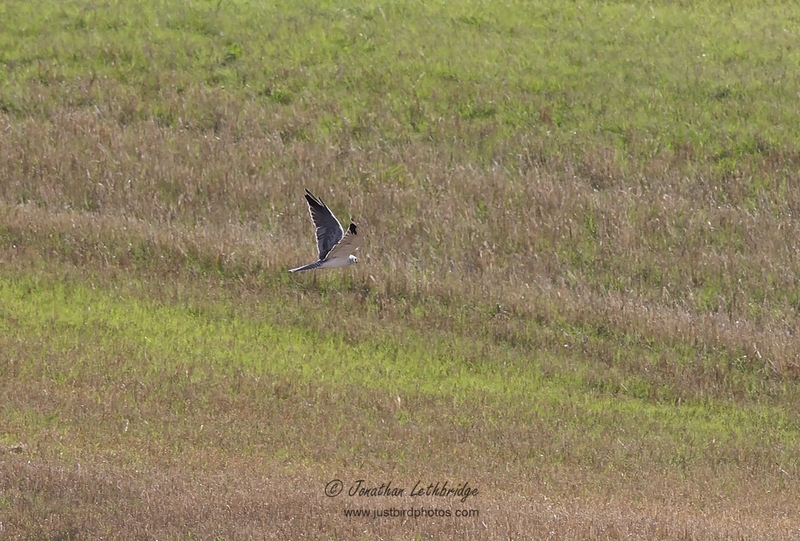 He grabbed a scope, I grabbed a camera so as to be able to record it - a 3rd year Pallid Harrier. Amazing stuff, at this point our 11th raptor of the trip. 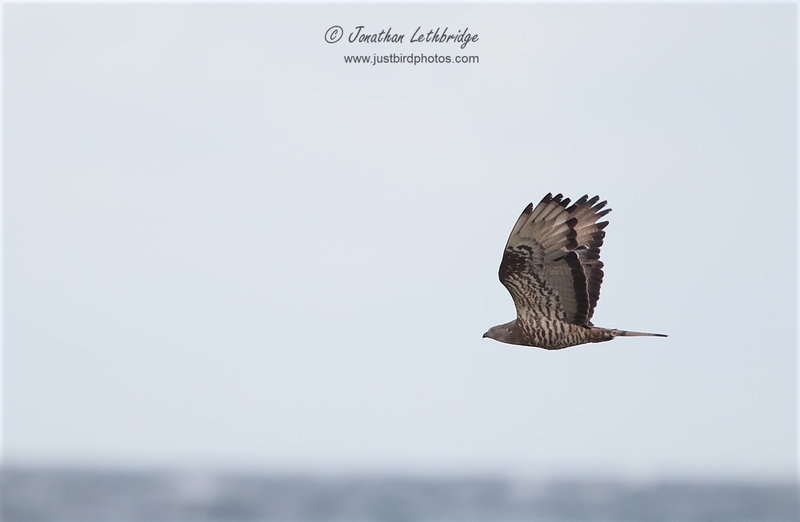 Amazingly I managed some record shots that told you all you wanted to know, and so we carried on in high spirits to Börringe itself, where we added Black Kite, and soon afterwards, Goshawk. A fabulous end to the day, and our count now stood at 103. Blackbird was the final bird, as rare, seemingly, as Pallid and Monty's.